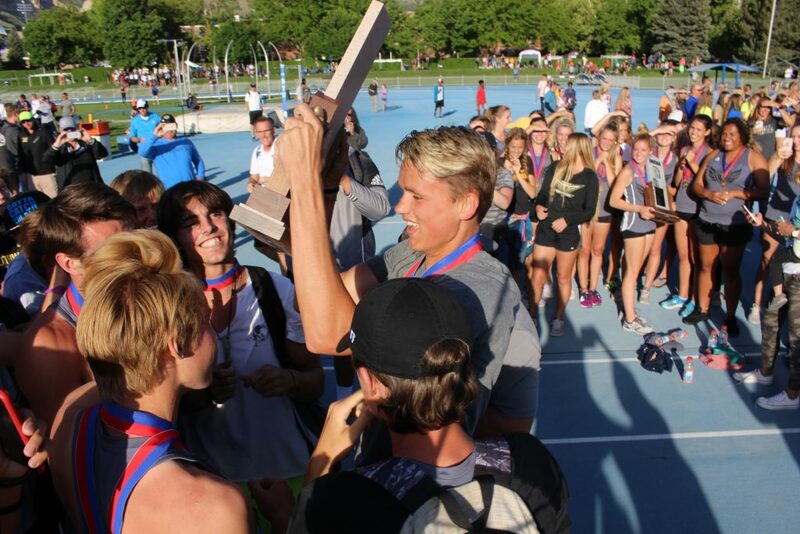 PROVO – The Desert Hills boys track team recorded its sixth straight track and field championship over second place Orem 114-88, and the Cedar girls team won its second championship in three years 118.5-58 over the second place Thunder girls team Friday at Clarence F. Robison Track on the BYU campus. 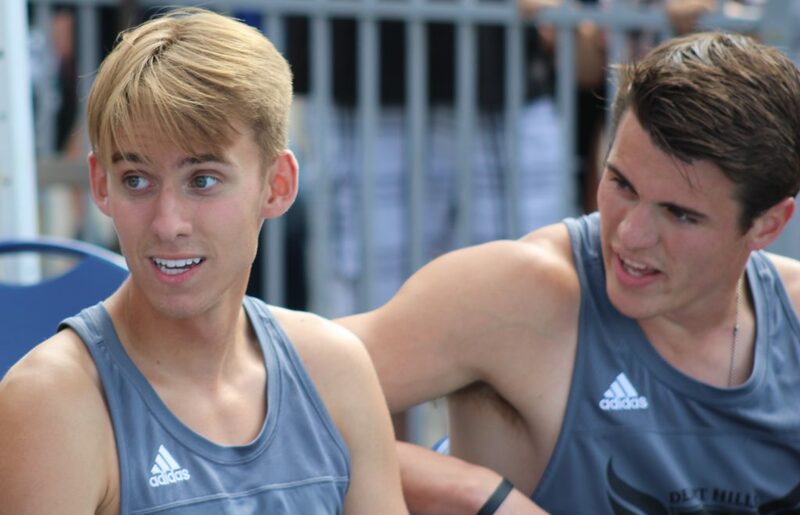 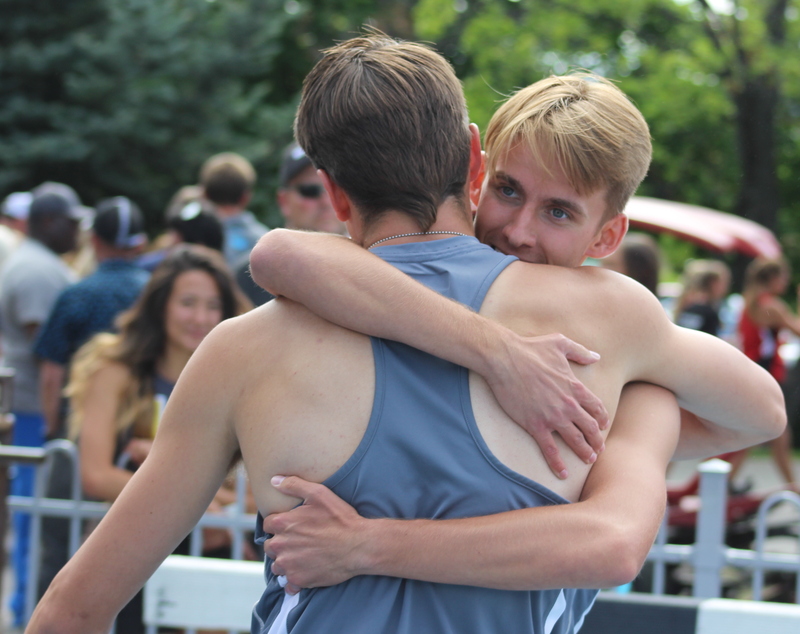 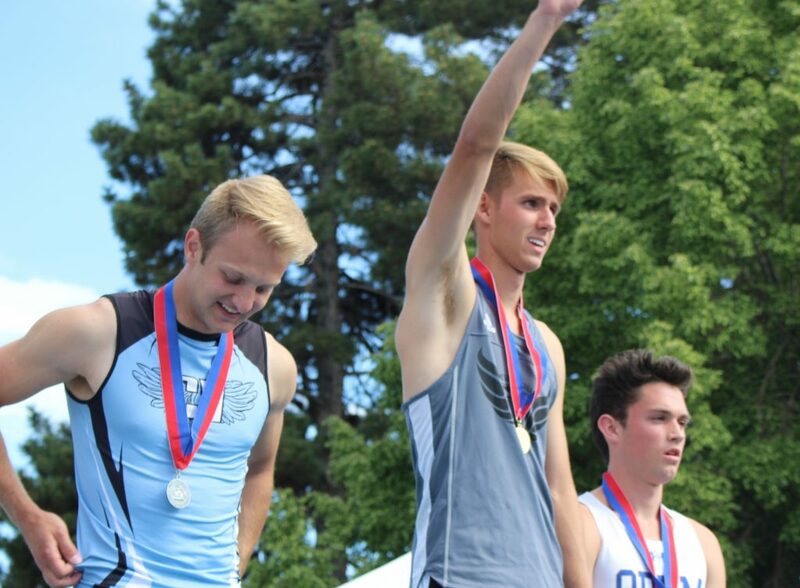 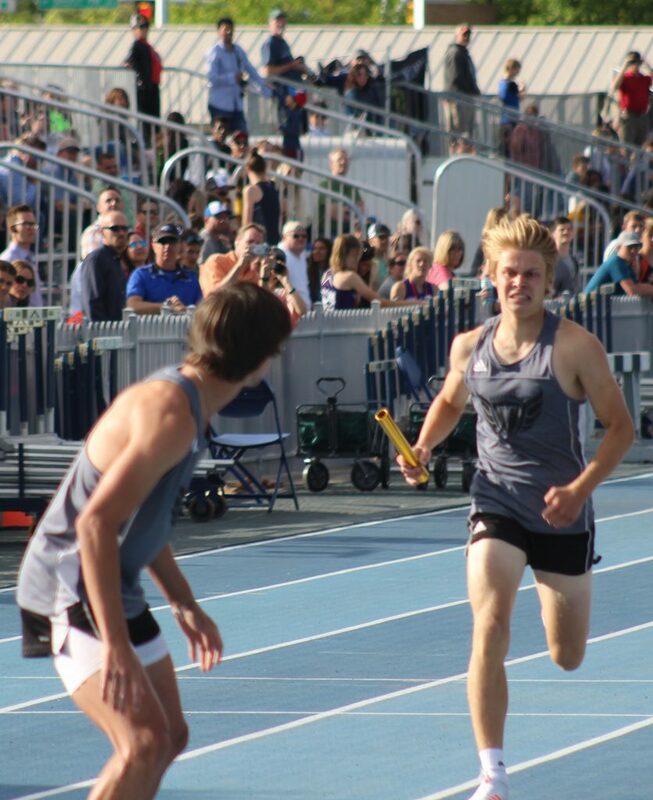 Desert Hills’ Carter Reynolds dominated the hurdles for the second straight year, taking gold in both the 110 and 300 hurdles, but it was Zachary Marsden that unexpectedly won all the sprints and added points that likely were the difference makers in clinching DH’s sixth straight state title. 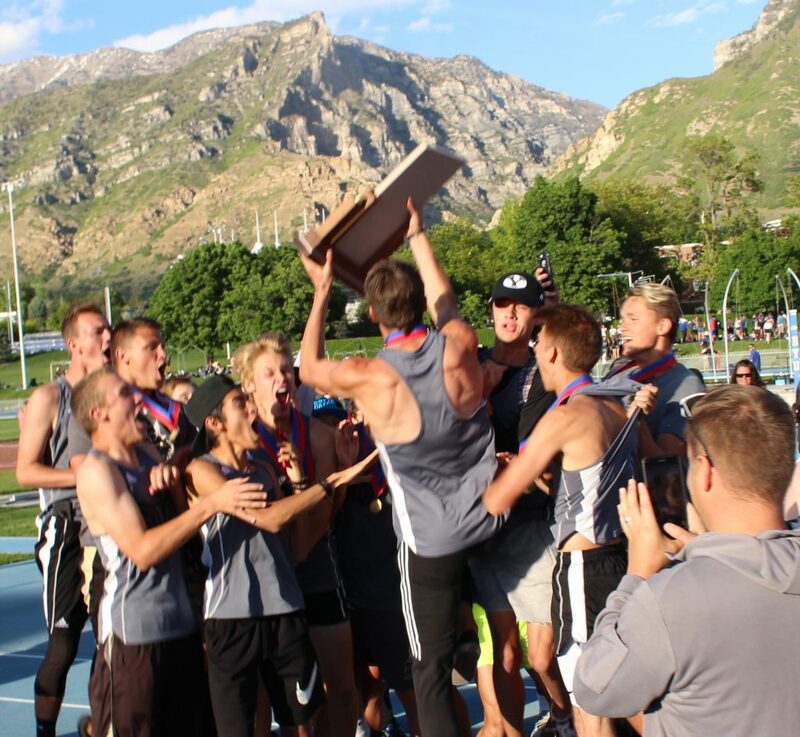 Marsden anchored Desert Hills’ first place 4×100 team, and snatched gold in the 100, 200 and 400. 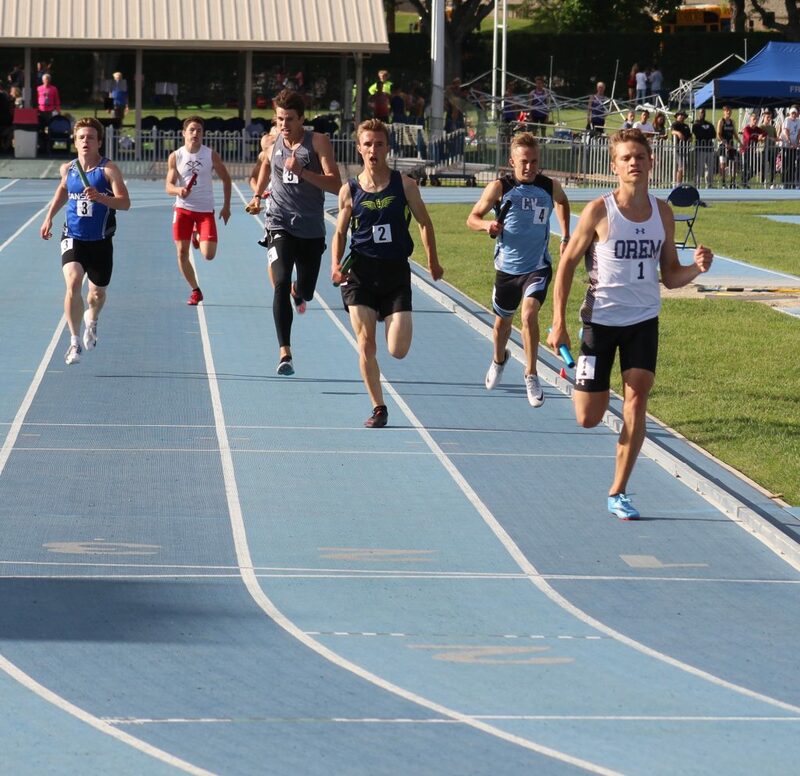 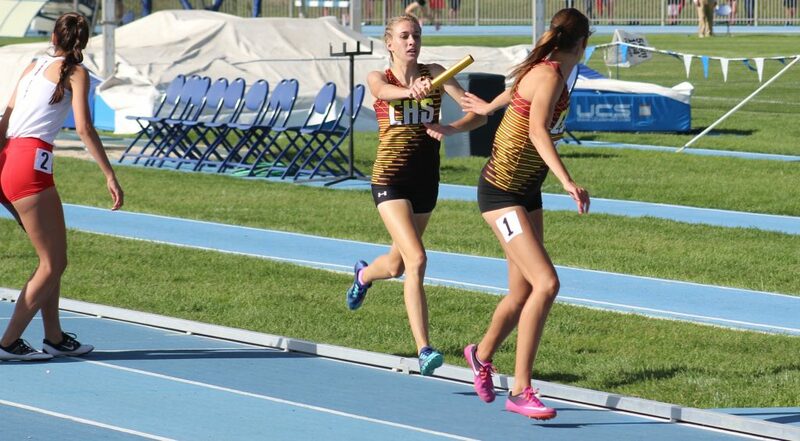 While Marsden’s clean sweep of the sprints came as a shocker to most attendees at the state meet this weekend, Thunder head coach Dace Goulding said he knew he had an ace up his sleeve in Marsden. 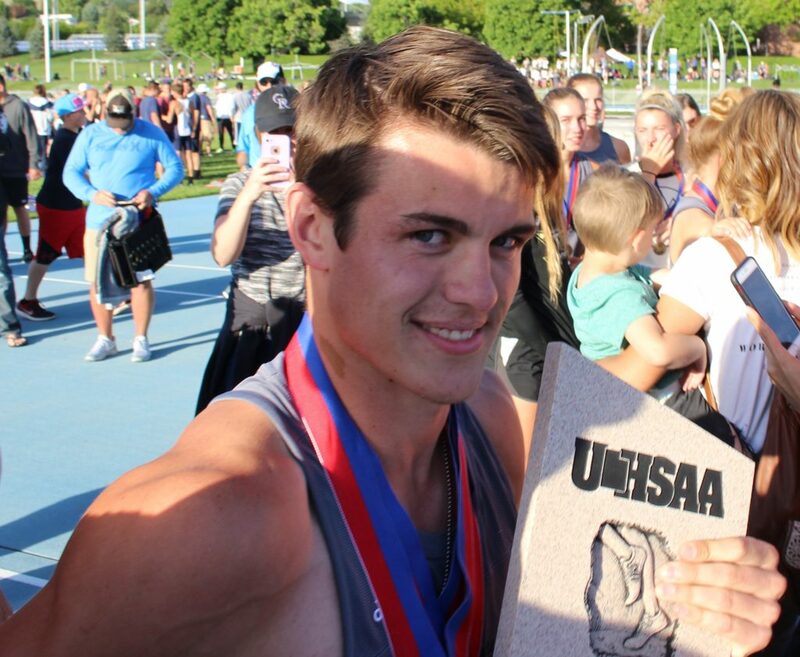 Discus thrower Ryan Warner was the only other first-place finisher for Desert Hills with his 161-foot toss. 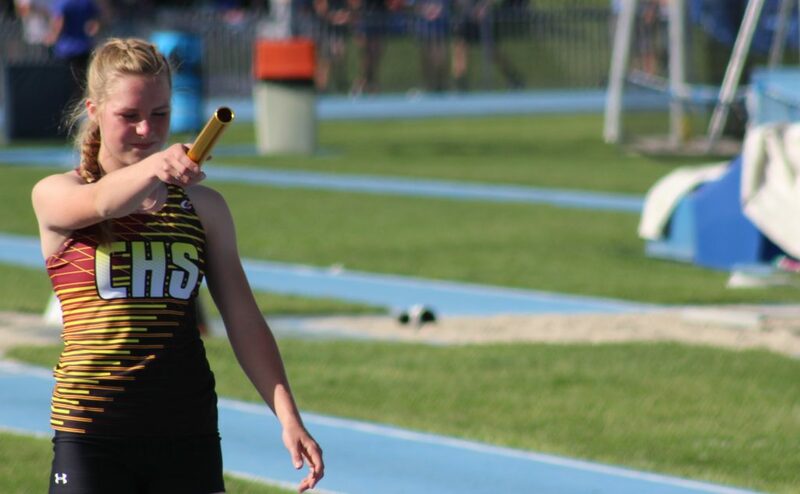 Reynolds, who has already signed with Weber State for track and field, agreed with Warner’s team-oriented outlook. 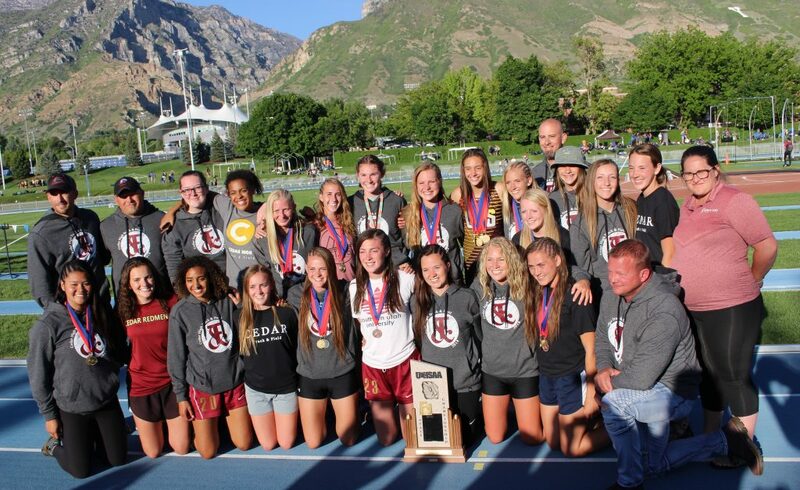 The Lady Reds, who played runner-up to the Lady Thunder last year, dominated the girls side this time around, doubling their nearest competition, DH, in points. 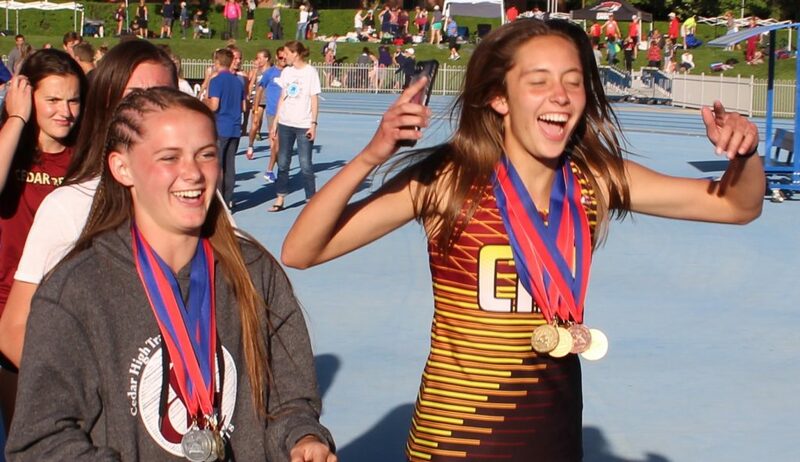 Sprinter Jasie York won the 200, 400 and anchored Cedar’s first place 4×400 team. 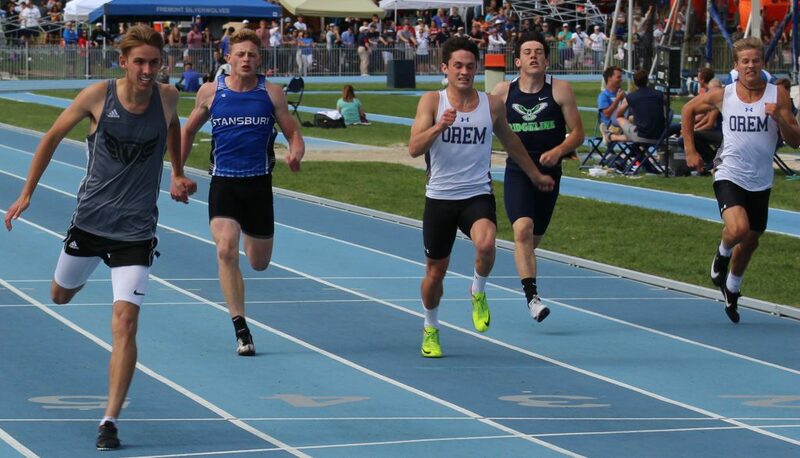 York also added a fourth-place finish in the 800. 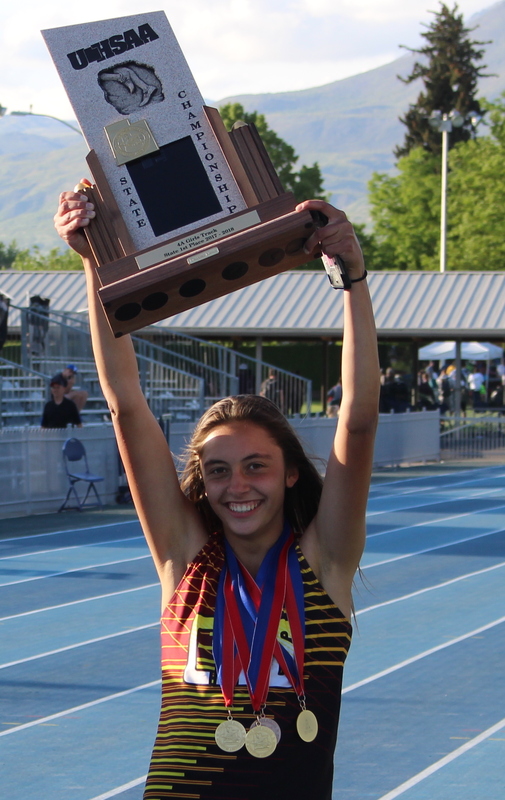 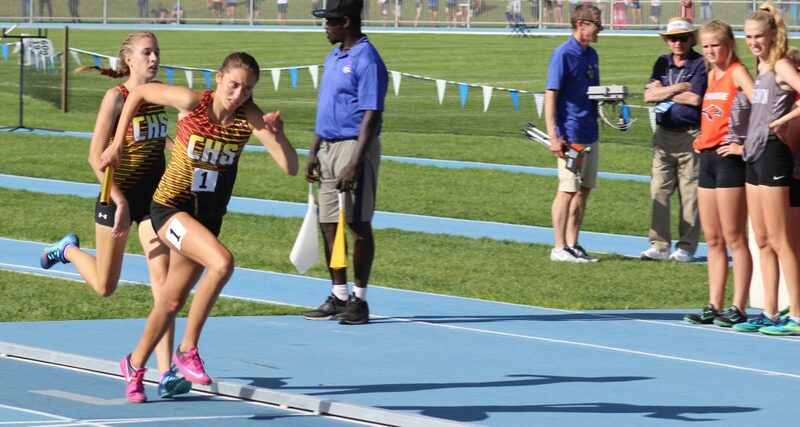 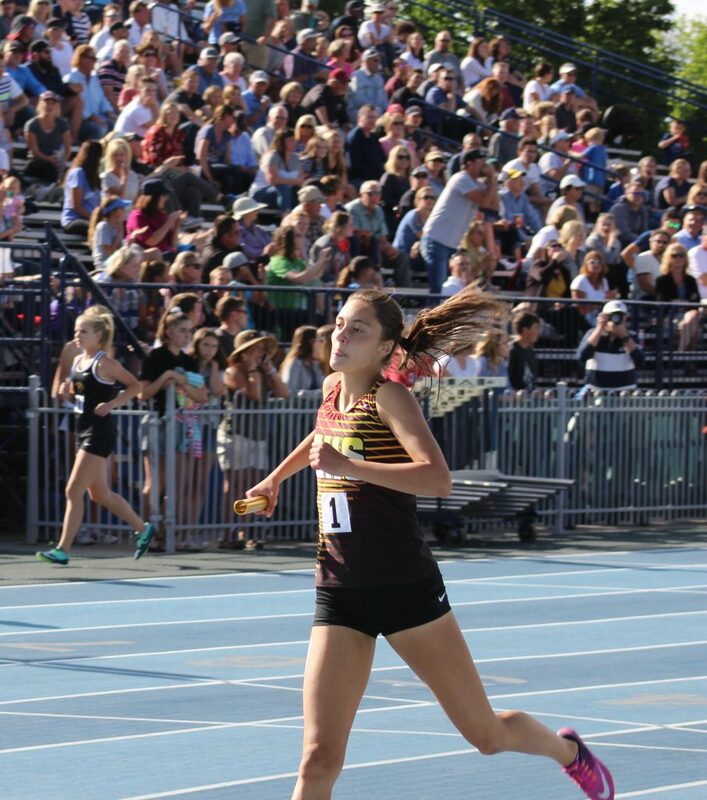 Lady Reds soccer star and Snow College signee Julia Hunt claimed fastest girl in the state, winning the 100 with a time of 12.41. 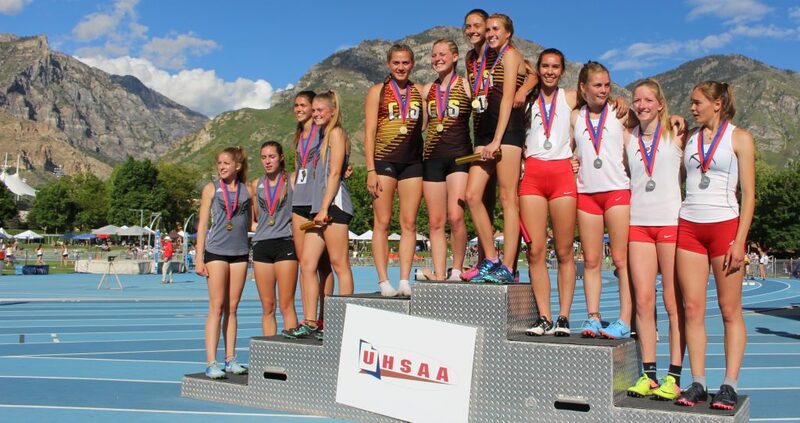 Cedar also won gold in the sprint medley. 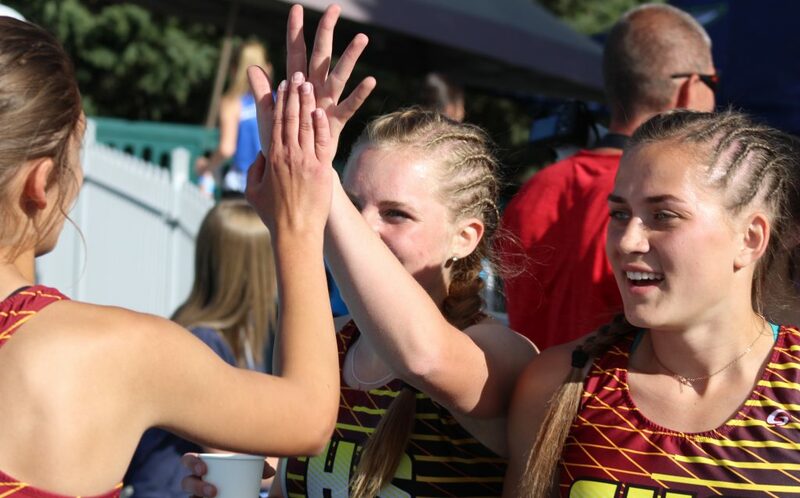 Cedar head coach James Davidson said that all offseason Cedar used the loss as fuel to work hard and avenge their second-place finish. 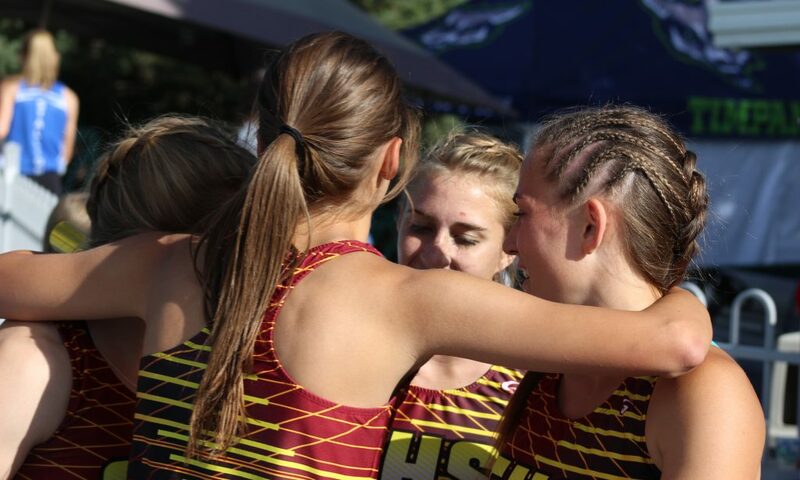 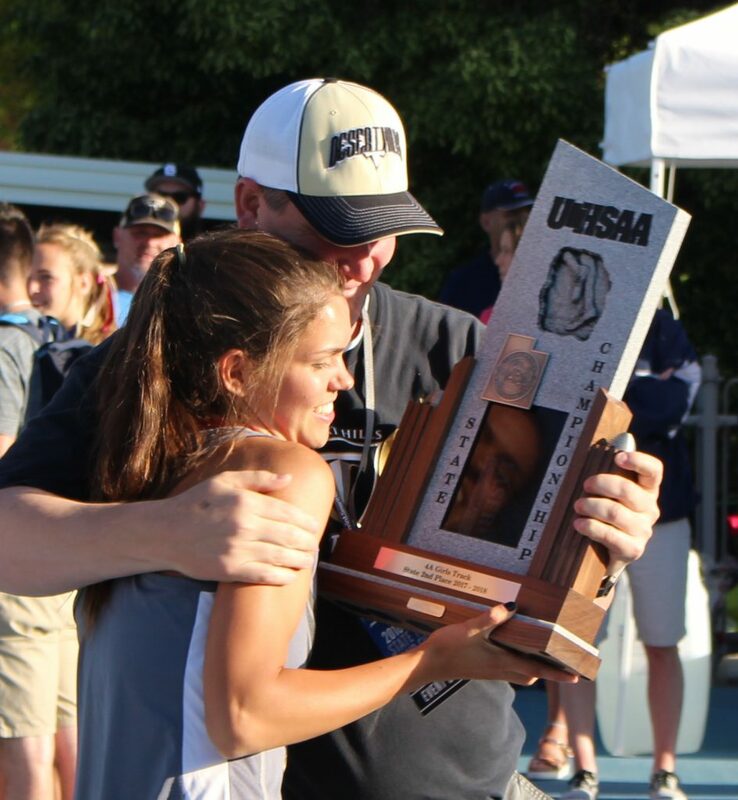 York agreed with her coach that hard work was responsible for their success at the state meet.